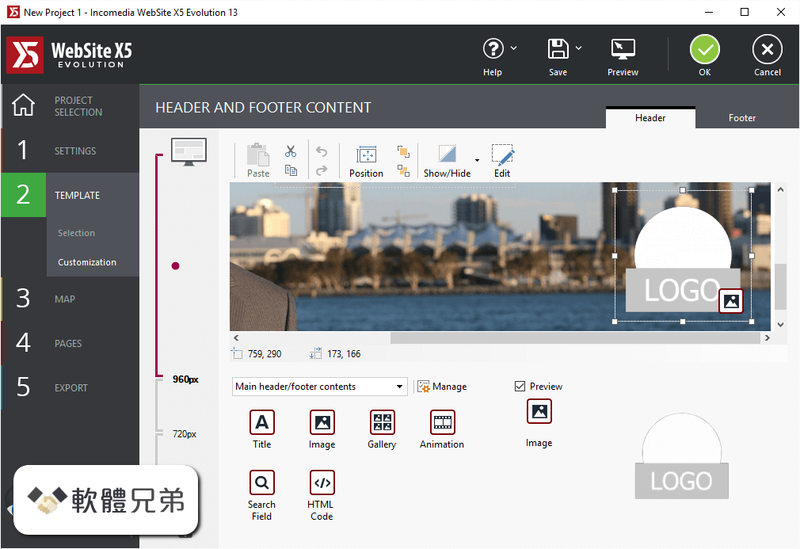 WebSite X5 Evolution 是由 Incomedia 設計和開發的軟件，可以讓任何人，從初學者到專家用戶，創建自己的網站，博客和電子商務商店，這是完美的桌面和手機. WebSite X5 Evolution 是絕對的創新和不同，因為它結合一個嚮導的簡單性和直觀性，一個編輯的完整性和能力。簡單，快捷，方便，WebSite X5 Evolution 已經收到了來自各大軟件雜誌的令人印象深刻的評論，並在國際展會和會議上發表，得到了運營商和記者的高度評價，但最重要的還是來自於許多用戶選擇創建自己的網站. 如果您想要，您可以修改 HTML 頁面代碼或添加新的代碼行：有一個內置的 HTML 編輯器來幫助您. - CSS Grid: A new internal engine for page generation has been developed. Thanks to the CSS Grid technology, page layout is now automatically redesigned. Websites can be created more quickly, and their rendering on the different browsers is more precise. - Fullscreen Websites: With this new option, you can adjust a Gallery, a map or any other content to the full width of the browser window. - Hamburger Button: The Hamburger Button is functional on mobile but it is being more and more used for desktop resolutions too. Now you can: decide to display the Hamburger Menu for all resolutions; design the Hamburger Button as you prefer; set the speed you want your Hamburger Menu to be opened in. - Automatic order processing: New automated order processing option. If you sell digital goods, your customer will automatically receive the order processing e-mail after paying with PayPal. - Discount Management: Coupon codes and discounts are very important for an effective sales strategy. Now you can intervene on both individual product and on the total order amount: you can set fixed or percentage discounts; you can activate coupon codes and define their starting and closing dates; you can activate and manage more coupon codes at the same time. - Amazon Pay: Amazon Pay is now available as store payment method. You now have one more tool to meet your Customers' needs. - Customer Registration: Your Customers can now choose whether to register or not before finalizing purchase. - Title tag Management: The Title tag management - which is fundamental for the page optimization - has been improved. Now you can: specify the Title tag for each website page and Blog post, distinguishing it from the simple page title; set the format the Title tag needs to have. - Blog SEO Optimization: Now you can specify Description and Keywords metatag for each Blog article. - In the Menu Object, there are now new options to set current page style also for level menu. - Object margins can now be managed better thanks to a specific window. - Mobile visualization of images and videos in the ShowBox window has been improved, they are now full width on any device. - All the Objects in our Marketplace, can now use the free Pixabay images. - In the Start edition, it is now possible to activate the responsive option. - New: AMP Pages: The Google AMP technology has been introduced for your Blog. You can convert all your post in AMP pages with a simple click: they will load faster, and they will look just perfect on smartphones. - New: File Attachment:You can now add a File Attachment in the order form of your e-commerce. In this way, you can ask your customers for a proof of purchase or a picture to customize the products you sell. - New: Tag H1-H6: Added SEO option for the H1-H6 heading tags setup, that can help you rank higher on Google's search results. - Heading styles: You can now define the heading styles and apply them in the text editor too. - HTML5 & SEO: New HTML5 tags have been introduced in the code. In this way, the semantics as well as the page accessibility have been improved, so that now your website can be better placed on search engines results, such as Google. - Security and GDPR: The code WebSite X5 generates has been verified so to make sure that it is compliant with GDPR, the new European Privacy regulation. You have everything you need, including new rules your users have to follow as far as the password generation is concerned: now it's up to you to correctly set up your website. - Call/Message Link: The link option Call has been renamed in Call/Message and we have added new functionalities: a part from Skype, you can now use providers such as WhatsApp, Facebook Messenger, Telegram, Viber and Vkontakte to keep in touch with your users. - Project Management: The project management has been made easier: all the projects are saved in the same folder, regardless the version they have been created with. So you don't have to export and import them every time you want to update them. - Added compatibility with WebAnimator 3 animations. - The functioning of the 404 Page has been modified, so to allow its manual management too. - The uploading to the server has been modified so to make it tidier. The files referred to Optional Objects are now exported in a subfolder instead of the website root. - You can now specify the name used to export the IWZIP file of your project. - The installation procedure is now easier: you do not need to completely reinstall the new versions, because they are now managed as the updates are. - This lets users log in/log out so they can access locked pages in your website. 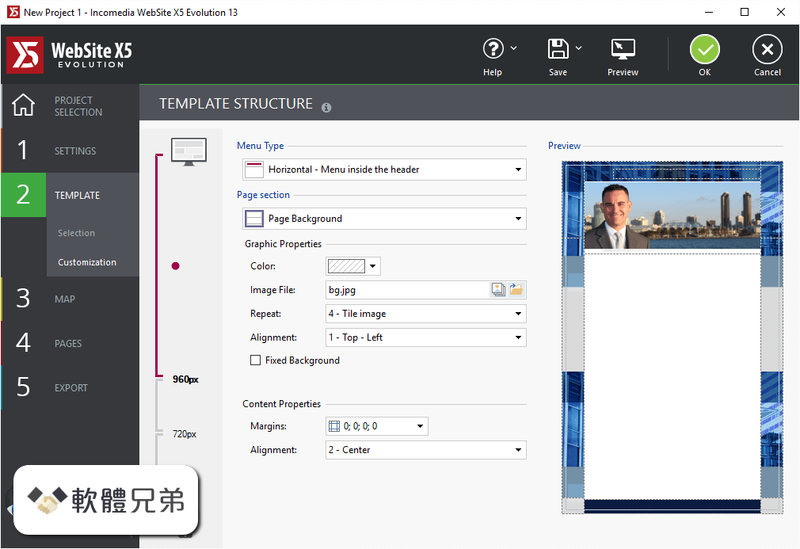 WebSite X5 Evolution will help you with the design of your website. 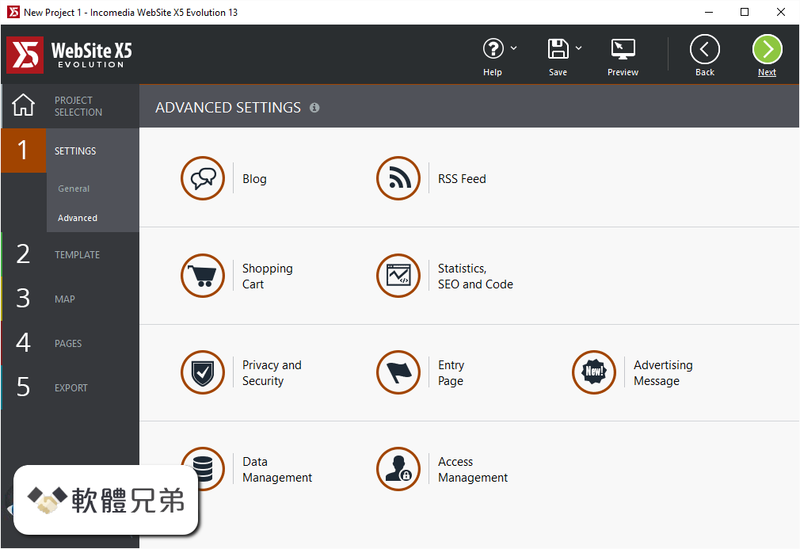 Download WebSite X5 Evolution to obtain a website with a very professional aspect. 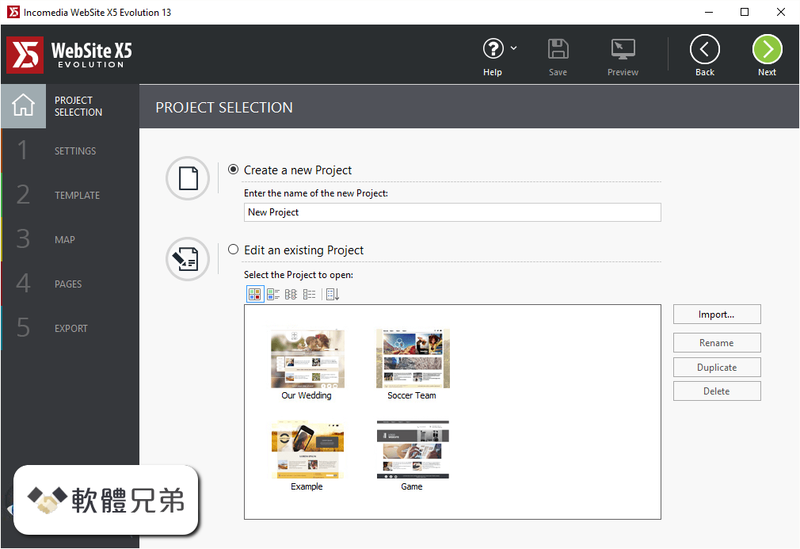 WebSite X5 Evolution 13 ... http://www.websitex5.com/changelog/v13/pro ... WebSite X5 Update 17.1.2 &middot; WebSite X5 Aktualisierung 17.1.2.